Heartbreak is always like a punch in the gut. It is unexpected and nothing can prepare you for it. The worst part of dealing with heartbreak is the unbearable feeling of loneliness, of loss. 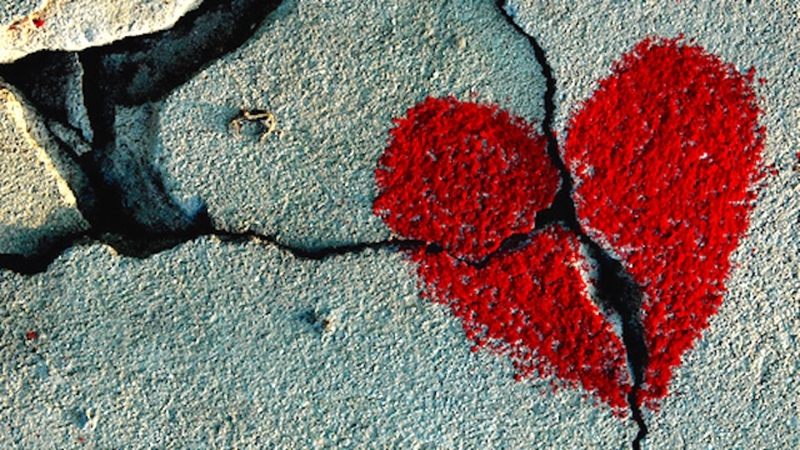 When it comes to learning how to deal with heartbreak, most people feel the same things and react in the same way. While we cannot help you prepare for it, we are trying to answer your questions about how to deal with heartbreak by sharing some advice. If this is someone’s loss, then it is not yours but it is the loss of the one who broke your heart. Someone who truly loves you wouldn’t cause you such pain, so you can know for sure that person you grieve for was not the right one. Also consider that they are missing out too. The good times you had and how you made them feel loved will be their loss. When you finally come to realize how much they miss out it will be easier to not think of it as a rejection. Somewhere deep in the pain we feel in such situations, there is always a glint of hope for the better. Heartbreak whispers that you will never find someone else as good, that you will never be loved like this again. Our experience says exactly the contrary. It cannot be raining all the time and love will come again when you feel ready for it. This is not exactly a tip on how to deal with heartbreak, but it’s a valuable life lesson that we usually don’t believe until we get there. And you will get there. Don’t let go of your work and your activities. Keeping yourself busy is food for your mind and it helps you put time between yourself and what happened. Heartbreak requires you to deal with life the hard way, so anything that doesn’t let you dwell in your pain should be welcome. Not to mention that blowing your daily work away will only bring you more trouble. Many toxic relationships isolate us from friends. Or perhaps yours was a great one that just happened to end up in a huge disappointment. Anyway, now it’s time to move on and tap into your network of social support. This is the better alternative of trying to reach out to the person who left you and keep hoping that something might change. If you reach out, do so with those who truly care about you. Losing someone because of their choice is no different from losing them to death. We feel exactly the same way and we go through the same stages of coping with loss. There are 5 stages of grief. Sometimes they come one after the one and sometimes they are mixed. They are denial, anger, bargaining, depression, and acceptance, or DABDA. The most important thing about the stages of grief is to take them as a map that helps you understand where you are. But always keep in mind that you may return to a previous stage for short periods of time. Don’t try to force yourself to progress through them sooner, you should take as long as you need. At first, the facts are unbelievable and it is very difficult to come to terms with what happened. Sometimes the trauma is so shocking that you will not feel pain for days, before you realized what is going on. During the denial stage, you may try to isolate yourself or avoid telling your friends what is going on. Denial is a defense against the pain and is only temporary. The anger you feel during the second stage can be aimed at the person who caused you pain, at everyone around you, and even at yourself. Although you know that person isn’t really to blame and neither are you, the feeling is irrational and persists - moreover, it amplifies in time. It is your right to feel it - but don’t fuel it. Invest your time in rewarding activities and spend it with those you love. Bargaining is a normal human reaction to the loss of control and an attempt to regain it. You keep thinking that if only you did something else, then the result would have been different. That is, mostly likely, not the case. Instead of wallowing in grief, spend your time with happy people. Psychologists showed that good moods and happiness catch on, so this is the best answer to how to deal with heartbreak. Heartbreaks can be very intense sometimes and they always bring periods of depression. Studies show that, for the brain, giving up love is like withdrawal from a drug addiction. Other studies show that addicts that manage to quit for good do so because they have strong social connections. Combat the depression symptoms by staying connected with those you love. Accepting that you have limited control over endings is the best gift you can give to yourself. Know that the pain you feel now will not last forever and that the day may come when you’ll meet someone better. That day you will be thankful that you continued your way through life and you are free to find new love. Although it’s hard to resist the temptation to try and bring your ex back, this is a mistake. Don’t try to become friends when it still hurts and don’t contact them. Focus on you and try to maintain your hope in what the future will bring you. In the meantime, keep yourself afloat by finding positive and enjoyable ways to spend your time, and, trust us, you’ll heal. Server responsed at: 04/21/2019 8:10 p.m.